The Bali Tiger was part of the Panthera Tigris species which also included the now extinct Javan Tiger and the critically endangered Sumatran Tiger. The Bali Tiger is believed to have become extinct around 1937, although the exact date is open to debate. Some believe that there may still be a small population of the Bali Tiger alive today however judging by the size of the island of Bali in which these tigers made their home and the lack of cover where they could be located, it is very unlikely. 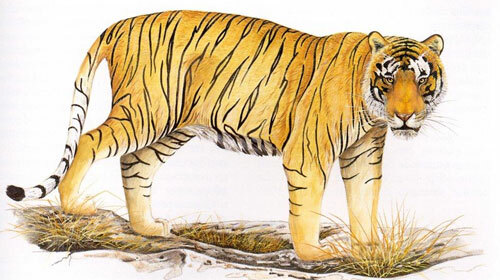 The Bali Tiger was the smallest of the Panthera Tigris and likely never had a large population to begin with. The main reasons for the extinction of the Bali Tiger are thought to be a combination of habitat loss and hunting. 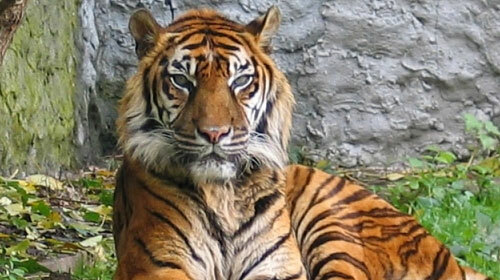 Its probable that the Bali Tiger would still exist today if it wasn’t for human interference. Being the smaller subspecies of Panthera Tigris, the male Bali Tiger could way up to 220lbs and grow to a length of around 7 feet in length. 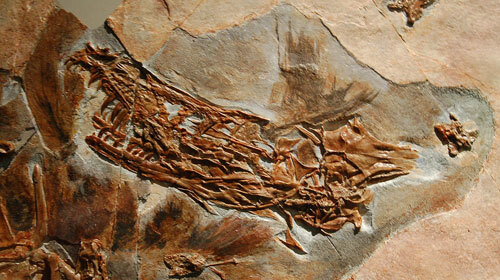 The female of the species usually weighed around 175lbs, growing up to a length of 6 feet. The size of the Bali Tiger was comparable more to that of a leopard of mountain lion. The Bali Tigers were covered in short, deep orange fur with the occasional dark stripe that would sometimes resemble a spot. The Bali Tiger also had a curious dark band on its head that is not seen in today’s species. The Bali Tiger’s were at the top of the food chain on Bali island with the exception of humans. They were carnivorous as like all other species of tiger and likely fed on mammals such as wild boar, monkeys, deer and fowls. The Bali Tiger’s are thought to have had a lifespan of up to 10 years in the wild becoming fully independent tigers by the age of two years. Cubs of the Bali Tiger’s were born blind and usually in litters of two or three cubs. The birthing would begin around 105 days after a successful mating session. The Bali Tiger and the Javan Tiger are very close genetically and are thought to have broken off from each other at some point in history, eventually becoming to very distinct species. There are two main theories as to when and how the two species of tiger broke from a single group. The first theory is that the Bali Tiger’s simply swam across the Bail straight and subsequently colonizing Bali Island. This is very possible as tigers are strong swimmers and the Bali straight would prove no problem for them. The second theory is that the species were split off by the formation of the Bali straight however the exact reason is unknown. stop killing these wonderful/amazing animals… than you all are gonna be hollering out “oh we’re setting a program up to where these animals can’t be harmed.” than u turn the tv on.. and hey there’s someone huting animals. Though.. I thought all of this was, “banned”? STOP THIS NOW!! SAVE LIONS AND TIGERS!! SAVE NATURE!!!! !